New bakkies for SA: Hilux, Navara, Fullback and more! 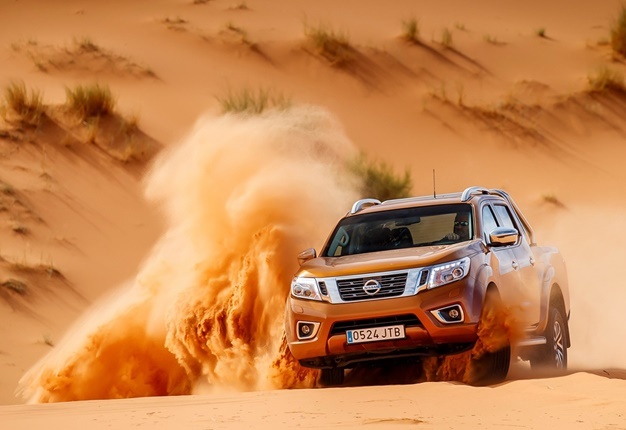 Cape Town - Nissan's new SA-bound Navara was driven in Morocco earlier in November 2016 and is confirmed to reach our shores early in the new year. Whilst the Euro-spec models’ ride height is indicated as 228mm, the SA Hi-Rider models will have 20mm more clearance. This also means further changes to the spring and damper ratings, while an electronic rear differential will be standard in the top models. This will make the local models unique (at least initially) as SA will be the first to receive these derivative. The flagship model will also have satellite navigation as standard, as well as hill descent control (HDC) and hill start assist (HSA), while around view monitor and forward emergency braking - both acclaimed features from Nissan’s crossovers - will be optional. Furthermore, the polyurethane load bay cover used in the Euro spec model will not be used in SA and last, but not least, all Navaras will locally be retailed with a class-leading five-year or 160 000km manufacturer warranty. While the single-turbo derivative of Renault-Nissan’s 2.3-litre dCi diesel engine (120kW/403Nm) will be used in the leaf sprung single cab models, the double cab versions are fitted with the 140kW Euro 6 complaint twin-turbo variation with 450Nm of torque. Petrol models will be added at a later stage. Mitsubishi's fifth-generation Triton bakkie will arrive in South Africa early in 2017. The new Triton, says Mitsubishi, is the automaker's most advanced bakkie yet. The Triton uses a new-generation 2.4-litre turbo diesel engine which produces 133kW/430Nm (up by 2kW/30Nm) and can be mated to either a six-speed manual or five-speed automatic. Inside, according to the automaker, it's roomier and quieter than its predecessor with higher quality interior finishes and a new full colour display. The 4x4 doublecab variants use the Super Select II all-wheel-drive system borrowed from the Pajero and Pajero Sport. According to Mercedes-Benz, the X-Class is the world’s “first premium bakkie” and will combine the best of two worlds, as demonstrated by two design variants of the concept model; The Stylish Explorer and Powerful Adventurer. The concept X-Class “powerful adventurer” illustrates that the future X-Class will possess all the strengths of a traditional bakkie - “tough, functional, strong, and with off-road capability”. The top-of-the-range model will be powered by a V6 diesel in combination with 4Matic permanent all-wheel drive. The all-wheel-drive system will combine an electronic traction system, a transfer case with reduction gear, and two differential-locks. The traction system and the electrically operated differential- locks channel the power to where traction is best. Production for the European, Australian and South African markets will start at the Nissan factory in Barcelona, Spain, in 2017. The facelifted Volkswagen Amarok will receive a facelift in 2017. The big news, of course, is the addition of a new 3.0-litre V6 turbodiesel model (which VW has not yet been confirmed for SA). However, Volkwagen South Africa has verified the facelifted model with the 2.0-litre TDI and BiTDI engines will arrive during the second half of 2017. The automaker has revealed details on the power outputs of the two V6 variants. The engine will be available in Europe in two versions: a 165kW/500Nm and a de-tuned 150kW version. According to the automaker, the Amarok measures in at 5.25m in length and a width of 2.23m (side-mirrors included). Renault’s new bakkie, the Alaskan, has been revealed and will be the automaker’s attempt at taking on light commercial vehicle (LCV) stalwarts such as the Toyota Hilux and Ford Ranger. 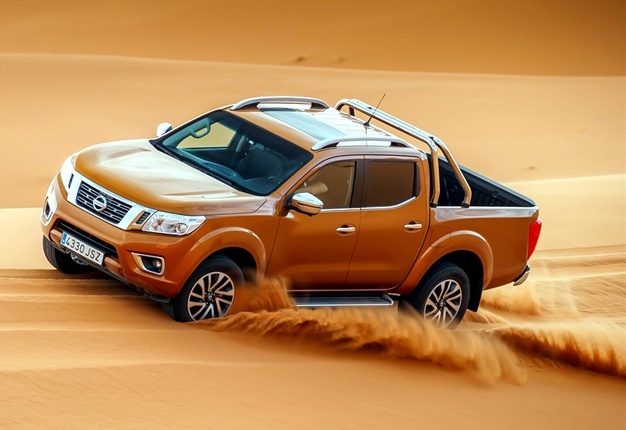 Renault South Africa says "nothing has been confirmed as to whether the bakkie will be available locally" though the automaker adds that its Alaskan will be up for discussion as to whether it will suit the local market. The Alaskan will be available with both petrol and diesel options. The 2.5-litre petrol engine is set to deliver 120kW and the 2.5-litre diesel engine 140kW. Both engine types will be make use of turbo technology and will be mated with either a six-speed manual gearbox or a seven-speed auto.